I knew very little about Tom Murphy before I started my MA in Drama and Theatre Studies last September. It seems embarrassing to say it now but I’m not sure I’d even heard of him. I must have come across him at some stage but I could just be saying that because his work seems so familiar to me now. Tom Murphy was the first playwright we studied in Irish Playwrights since the 60s. Famine was the play I read and reported back on but we also talked about his other plays, particularly the ones that were produced by Druid. Then at the end of November, Druid announced their DruidMurphy cycle and suddenly Tom Murphy was everywhere! In the second term we did a series of Masterclasses with Druid artists, some of whom were working on DruidMurphy. We did a directing masterclass with Garry Hynes using Tom Murphy’s first play On The Outside. We also had a class with the set and costume designer Francis O’Connor where he talked about choosing the set for DruidMurphy. He also talked about The Gigli Concert and had photos from that set and many others. It was an interesting and informative class and it was great that we had it in Druid Theatre where so many of the plays were staged. 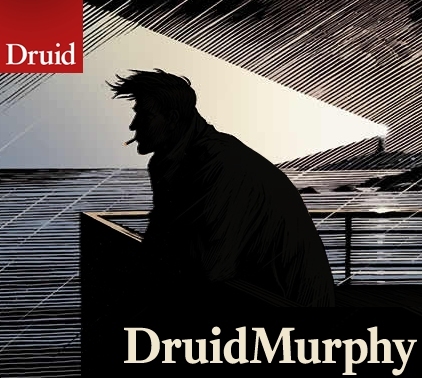 At the end of March, two of my classmates started their internships with Druid, working on the DruidMurphy cycle. We barely saw them over the next few months – they were kept very busy, but they were there on the Sunday morning in June when I headed down to the Town Hall Theatre to see the first full-day DruidMurphy cycle. It felt a little bit strange to be arriving at the theatre when it was still light outside. Inside the foyer was filled with people looking forward to the day of plays, looking over the schedule, wondering how we’d cope with the long day, how we would feel 10 hours later. Luckily the Town Hall Theatre seats are comfortable and relatively roomy. When we were booking my friend and I spent some time choosing our seats from the limited selection available. For a full day of plays, it was important that we got the seat selection right! We got a couple of seats at the back – it’s a small enough theatre that even at the back, you still have a good view. The connecting theme between the three plays is emigration. The first, Conversations on a Homecoming is about the returning emigrant. Whistle in the Dark is more about the emigrant’s experience aboard though it is also about violence, family ties and masculinity. Famine is about how the waves of emigration out of Ireland began. Emigration is a relevant issue in Ireland today but it’s hard not to feel like we’re looking at these plays from a great distance. because it does say something about Ireland today. It was a bit backward looking though. It would have been nice to see a modern play there beside the older, reflective plays. Something that took into account the changes that the country has undergone over the last 20 years. But that wasn’t the aim of the cycle. It captured the results and causes of emigration for those who have gone before, it reminded us of our history. Conversations on a Homecoming was my favourite of the three plays. This one at least had a few laughs in it. It was still not a particularly happy play but there were some moments when happiness seemed possible. The performances were also wonderful. Aaron Monaghan was excellent as estate agent Liam, while Marie Mullan was almost unrecognisable as the pub landlady. It can be a bit disorientating to return to the theatre after a short break and find a new set on stage and the same actors playing brand new characters. It’s hard not to connect what has gone before and the relationships between characters that were built up over the last hour and put all that on top of what you are seeing on stage. It is a very impressive feat for the actors and I have a huge admiration for them straddling these three plays. I think it’s a huge achievement for Druid and all the cast and crew involved. It’s an ambitious project and a feat they can be very proud of. Personally, I don’t think it’s necessary to see all three plays in one day. Each play stands up so well on it’s own that I’m not sure how seeing in the cycle really adds to the experience. (Apart from awe and admiration at the acting abilities of the performers.) 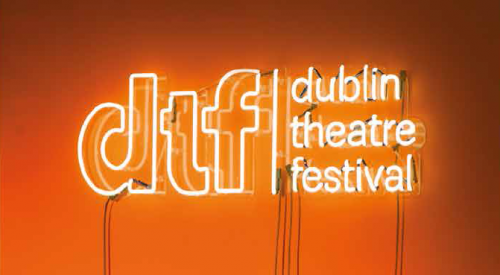 If you would like to see the full DruidMurphy cycle, it’s at the Dublin Theatre Festival in October.